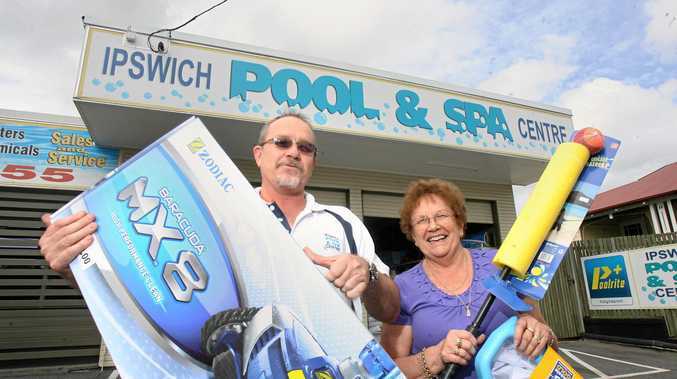 ONE year after retiring from one of Ipswich's most beloved businesses, the former pool shop owner says she has no regrets. Maria Morris and her husband Peter were well known as the couple behind the successful Pool and Spa Centre. The pair started out in business in 1969, before moving to Ipswich in 1975 and opening the first pool shop in the city. Ms Morris remembers the pool industry was male dominated back then. "The first challenge I had was being accepted by the men," Ms Morris said. "Reps would come in and talk to me, then ask to see my husband. "I said if you can't accept me because I am a woman, then get out of my store. "They soon started treating me with respect." Attitudes began to change when Ms Morris fronted the store. Customers and reps knew her for professionalism, humour and wonderful customer service. "In those early years, customers also wanted a man to talk to. The attitude was, 'what would a woman know', Ms Morris said. "Gradually they came around and accepted me." "I have seen a lot of changes over the years. "My son David would ask me when I was going to retire but I did not know when I would do that. "One day I said, 'that's it, I am out, it is time I left'." Ms Morris said her husband retired before her but she continued in the shop withDavid and Wayne Atkins. 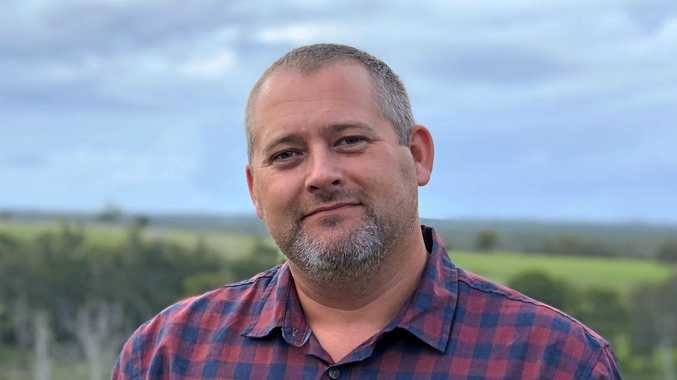 David Morris went on to manage the business. Ms Morris said teamwork was one of the keys to Ipswich Pool and Spa Centre's success. "We all did it together. We all chipped in and made it work. I always put the customer first," Ms Morris said. "Each person was treated as part of the family. "I am always open to suggestions and I would take on those ideas." Ms Morris said the business kept growing as new generations of customers used the shop. "We started out looking after mums and dads as they established their pool and then their children came in," she said. Her life is still busy and rewarding, with grandchildren and great-grandchildren to spend time with. "We are having time with the children and getting to travel," she said. "We go on cruises and life is good." But maybe the biggest surprise about Ms Morris is that she cannot swim. "I love to paddle. I nearly drowned as a kid and I just can't do it," she said. "Trust me, I have had a lot of ribbing over that from the customers." "I go in for a short while, to see the boys, and then I don't leave for hours," Ms Morris said. "Customers always want to chat. It is great." Ipwich Pool and Spa is located at 77 Brisbane Rd, East Ipswich, opposite Sizzler. Go to the store for a huge range of pool equipment, chemicals and accessories, including filters and pumps, chlorinators, pool cleaners and everything you need to balance your pool.